In September the site has removed one of its tower cranes and the protective screens to the tower have been completely removed. 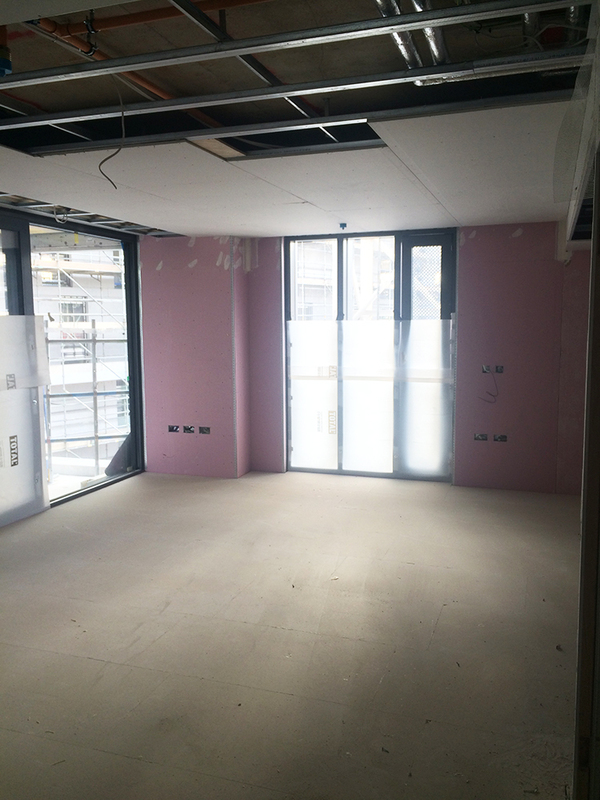 The tower’s cladding and internal works have progressed, with ceiling installation and flooring works both starting. The school’s roof photovoltaic (PV) panel installation has commenced. These panels capture the sun’s energy and convert it into electricity. The Nile Street block scaffold has been erected and glazing works are progressing. 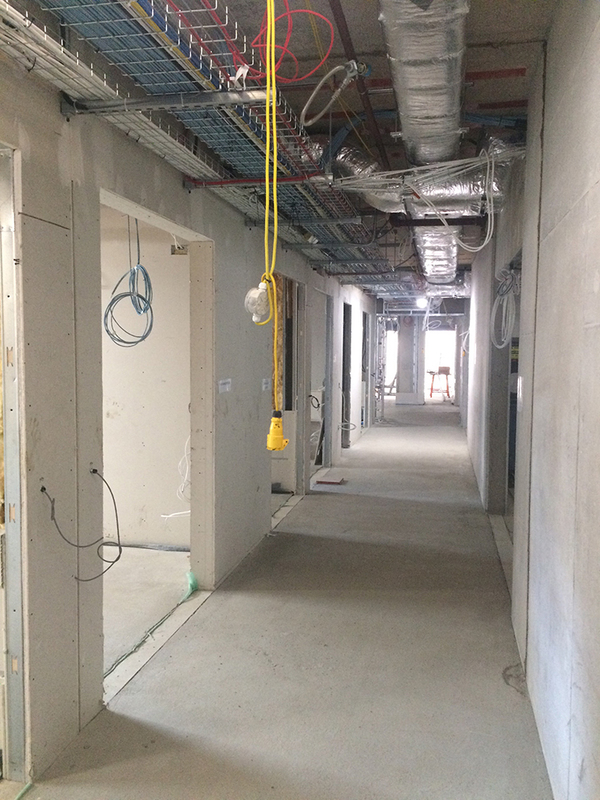 Internal works to form the new apartment walls is in progress. During October, the school will see the installation of it’s new kitchen facilities commence along with the internal doors and screens for the classrooms. 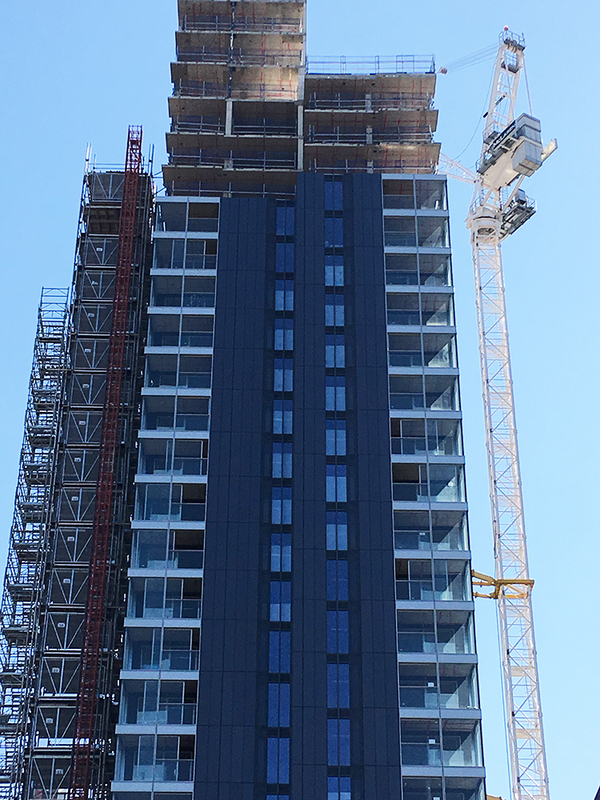 The tower’s cladding install will continue as it nears the top of the building, with the apartment internal wall construction and floor works following on behind. 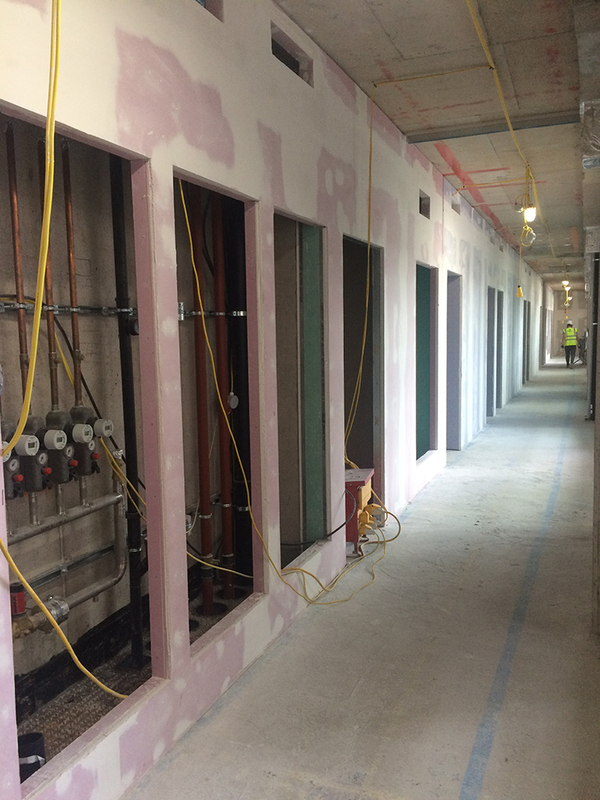 The Nile Street block’s glazing works will continue whilst the internal walls of the apartments are built. We are in the process of arranging our work experience candidates for next year. If you know of any young person attending school in Hackney who is seeking work experience, or you can offer a work experience placement then contact https://www.inspire-ebp.org.uk/.